DVI's Aviation Experts have full access to a wide variety of optical and electron microscopes to support an accident investigation. There are three well-known branches of microscopy, optical, electron, and scanning probe microscopy. 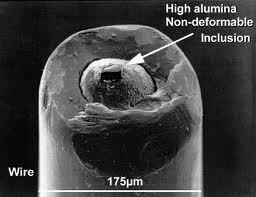 Optical and electron microscopy involve the diffraction, reflection, or refraction of electromagnetic radiation/electron beams interacting with the specimen, and the subsequent collection of this scattered radiation or another signal in order to create an image. These methods can be valuable because the failed products are often unaffected by analysis, and the subject evidence can remain intact. Microscopy is the technical field of using microscopes to view samples and objects that cannot be seen with the unaided eye. It relies on collecting failed components for subsequent examination in the lab to determine the cause or causes of failure. Fracture analysis, fatigue, corrosion, and material flaws are topics of interest to be viewed under enhanced magnification. 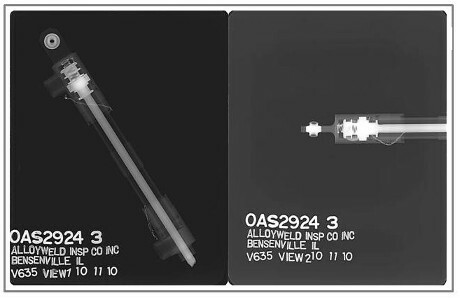 DVI's Aviation Weld Experts also have access to aerospace certified X-Ray NDT facilities to evaluate welds. In manufacturing, welds are commonly used to join two or more metal surfaces. Because these connections may encounter loads and fatigue during product lifetime, there is a chance that they may fail if not created to proper specification. For example, the base metal must reach a certain temperature during the welding process, must cool at a specific rate, and must be welded with compatible materials or the joint may not be strong enough to hold the surfaces together, or cracks may form in the weld causing it to fail. The typical welding defects, lack of fusion of the weld to the base metal, cracks or porosity inside the weld, and variations in weld density, could cause a structure to break or a pipeline to rupture. Welds may be tested using X-Rays. In a proper weld, these tests would indicate a lack of cracks in the radiograph. DVI’s Metallurgical Experts examined the metallurgical features on an emergency escape latch. The emergency escape latch was found in the “open” position in the wreckage. DVI’s Aircraft Maintenance Experts investigated the failure of a landing gear actuator. The condition of the actuator was documented with X-rays prior to being disassembled. Content Copyright © 2011-2018 DVI Aviation Inc.